If you're still thinking - should I start an e-commerce business or not, let’s look through some facts, shall we? On average, Millennials now make 54% of their purchases online versus 49% of non-Millennial, more information. Additionally, there are multiple opportunities to succeed as a retailer. Such as – expanding your business. 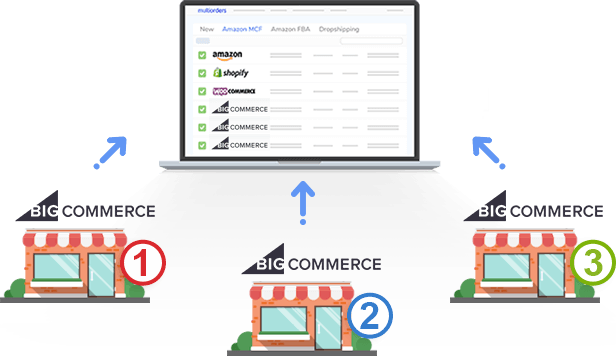 If you work in BigCommerce you should definitely think about integrating your products to Amazon. These two world leading e-commerce platforms should make your profit grow double. Facts say that their most user base is from United States – more statistics. 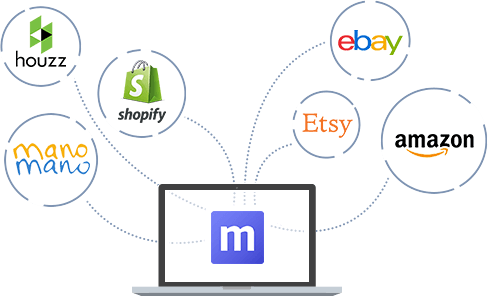 What's important is that BigCommerce offers some integrations with other channels, such as Facebook or Amazon. Possible multi-channels connection helps gain even more profit and allows you to reach a bigger audience. Another giant e-commerce marketplace is Amazon. The most popular e-shop, about 50% US online shoppers are on this mobile app, and there are about 300 million Amazon.com users. With this in mind, you should expect customers from all around the globe. The number of Amazon sellers with revenue higher than $100,000 in 2016 was 100,000. Users buy there with confidence and trust, that’s why you should consider working with them. Amazon was founded in 1994, so through all those years they maintained loyal customers and expanded their business. Having such an experience leads to a better understanding of user’s needs. In addition to this, they created many tools and solutions to make retailers' life nearly effortless. One of the most valuable solutions is Amazon FBA and MCF services. These order fulfilment services allow wholesalers to remove some of their tasks. Both tools include warehouses for your items, and quality shipping, as well as customer service. In other words, Amazon will place, pack, pick and ship your order. Despite the similarities between FBA and MCF, there are two main differences between these services. Fulfilment by Amazon – one of the easiest ways to manage your Amazon orders. Sellers who do not own a warehouse or use a shipping carrier should definitely consider FBA. Firstly, it offers a warehouse, where you can place your products. It also includes security, information about your stock levels, and safety. As soon as you receive an Amazon order, proccess it and Amazon fulfilment service will do all the rest. They will pack it with Amazon packaging, and then ship through their carriers. Additionally, they inform your client about tracking updates and offer complete customer support. In this case, your buyers from Amazon will be satisfied with customer service and quality shipment. The main difference is that MCF allows fulfilling not only Amazon orders. No matter what sales channel you use, Amazon will take care of your order. Another thing is that Multi-Channel Fulfilment (MCF), has a different packing system. There is no Amazon logo or print on MCF packaging. In this case, your customers won’t get confused, if they bought a product from another marketplace. Also, it creates some kind of identity for your unique brand or product. This might make you stand out from your competitors. As mentioned before, BigCommerce Amazon integration might boost your sales. Both marketplaces are popular so they attract many clients. Having your inventory on two sales channels possibly increases your profit. On the other hand, managing two different marketplaces might become a daily struggle. Imagine this - you have to pay attention to each website – fulfil orders and keep up with customer support. Additionally, you have to do some inventory, stock-list or pricing changes. All these and even more tasks will clog up your workflow. For these reasons, Multiorders offers you a solution which will eliminate all these struggles. 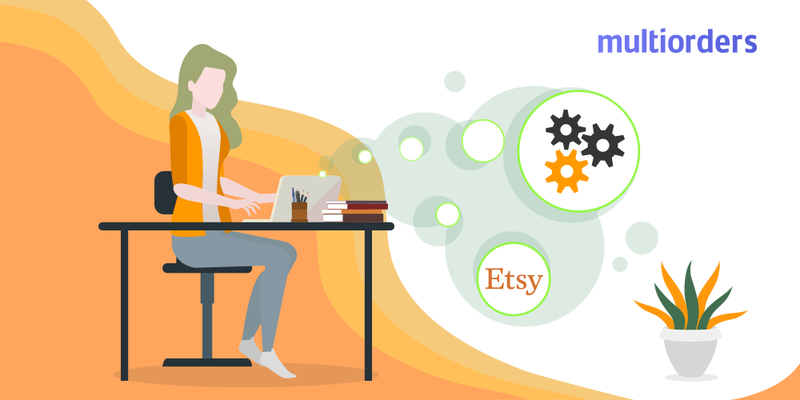 A software which has BigCommerce and Amazon integrations will fulfil your orders within seconds. Remove all your time-draining tasks that come from managing many different accounts. Multiorders allows you to manage and control all sales channels in one place. Imagine this - having and controlling all your products in one dashboard. 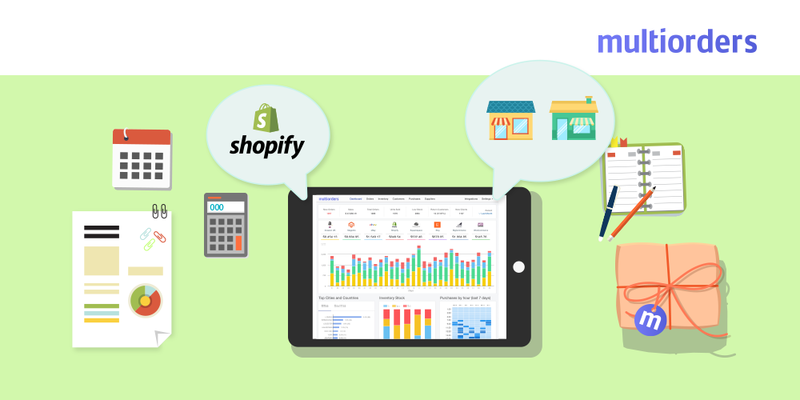 BigCommerce and Amazon integrations are in www.multiorders.com, so you can generate all your data. Every change you make on price, stock-list or product description, automatically adjusts to each marketplace. In this way, there is no need for you to switch from one account to another. With Multiorders managing takes about three times less effort than before. Also, you can add more than one account of each marketplace and control them in the same way. Another time-saving function is shipping fulfilment. Multiorders has integrations with all of the most popular shipping carriers, including Amazon FBA and Amazon MCF. Once you receive an order (from any sales channel), simply choose your shipping company. Our software has all necessary contracts, so you won’t need to apply any additional information for shipping. Multiorders users have access to refund and replacement terms from each shipping carrier. It guarantees you insurance for any accidents, which might happen during shipping. Moreover, each time you can choose a different shipping company, to find the most suitable for you. All shipping carriers are waiting for your orders. 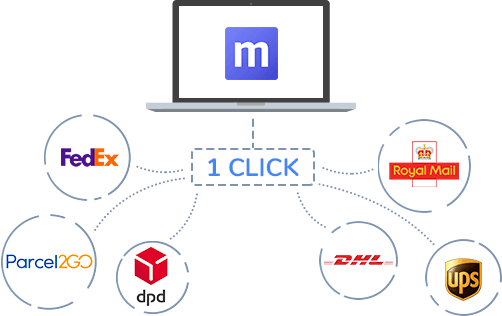 Multiorders created an automated solution to fulfil your shipment. In other words, the system automatically adds tracking information to each marketplace and additionally informs your customer. Because of integrations with shipping carriers, our software is instantly informed when the tracking number is available. That way, a seller won’t need to check and update any shipping information. Despite BigCommerce Amazon integration, Multiorders also allows connecting all of the most popular marketplaces together. In other words, connect multiple sales channels into one place. All sales, orders, customer details and inventory of multiple accounts. Sales growth - Faster order fulfilment. As soon as you start proccessing orders about three times faster, you will get more time to complete other tasks. Such as marketing strategy, customer support or editing your e-shop. Which impacts sales growth and gaining more clients. 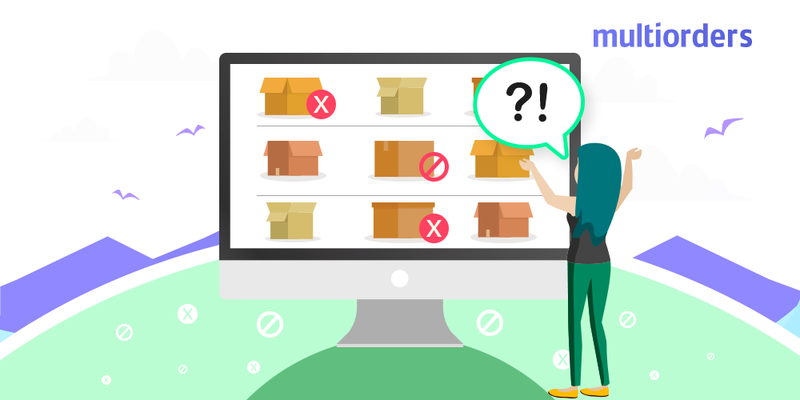 How To Sync Inventory On Shopify? SOLVED: How To Avoid Overselling?